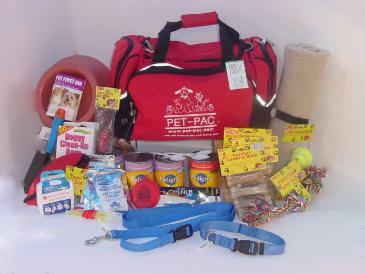 "the pet survival and travel pack"
Check our shopping cart for all our pet survival and travel products. 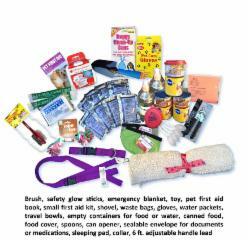 Including carriers, water bottles and first-aid kits. 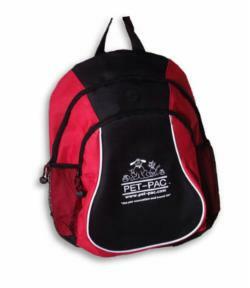 We now have a PET-PAC Starter Pack. 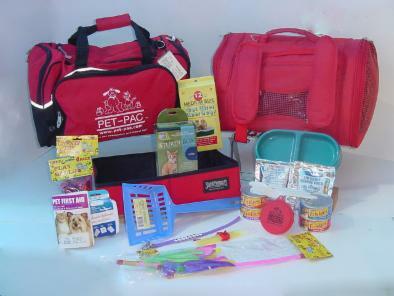 Great for travel, with lots of room for all the things your pet needs for a trip for the weekend, camping or to start your survival pack. 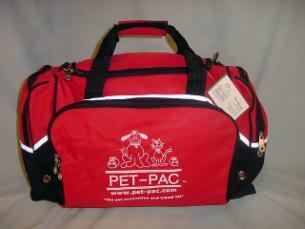 Let us help you help your pet. 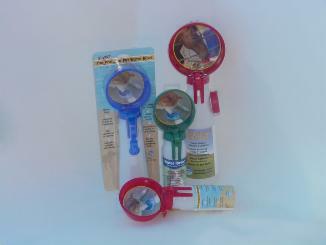 Water Rovers are prefect for pet outings, and pet travel. Take Water Rover™ along whenever you and your pet leave home – walks, jogs, picnics, trips to the beach, road trips, vacations. 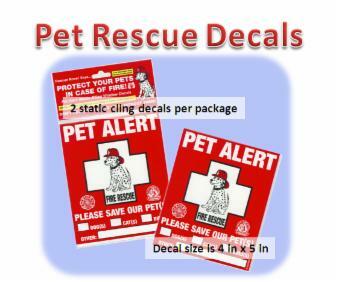 Write in the number of animals you have and put the decal on a window so that emergency responders know to rescue your pets in case of earthquake, fire or flood. *Note items shown in photos may vary, but equivalent or better items are used when they are not available from suppliers. Some items (with expiration dates) will need to be replaced once the expiration date has been reached by buyer or product owner.